Is our MP's office disabled access 'up to scratch'? DISABLED access to the member for Page's office has become a point of contention as the major parties prepare for the looming Federal election. Labor candidate for Page Patrick Deegan made an announcement on the International Day of People With a Disability to ensure better access to the Page MP offices if he is elected. "It is essential to our democracy that all Australia are able to participate, add that all Australians have access to their local member of parliament," Mr Deegan said. "That means ensuring electorate offices are fully accessible so that people with mobility issues, the elderly of vision impaired can get in and out." 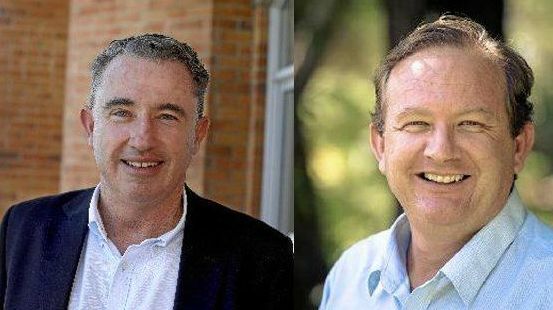 Mr Deegan said the lack of disabled access at current Page MP Kevin Hogan's Grafton office, and access to the Lismore office via the back door was 'not up to scratch'. "We must do better, and if elected I will work with the Department of Finance to either upgrade the existing Page electorate offices, or to find more suitable accommodation that allows easier access for people with disability," Mr Deegan said. Mr Hogan said he'd already helped make the Federally-funded Lismore office accessible to everyone with the help of the Department of Finance. "The ability of all of the community to access my office is very important," he said. "That is why I upgraded the access ramp to my Lismore office when I was elected. "The Glasgow Lane access also has parking available as well. People are informed of this when they ring to make an appointment. "Due to the heritage nature of the building, the Department of Finance was unable to install in a ramp on the Molesworth Street entrance." Mr Hogan said only one office is funded by the government, and his Grafton office is funded from his salary when elected. "There is a sign on the door informing community members of an alternative venue for meetings if required," he said. "I organised this with Cranes over 5 years ago."